In general, the musicians define their style as pop-rock. SKAI songs are individual stories about people’s relations, feelings and everything that surrounds performers in their real life. The cooperation between Lavina Music and SKAI began after the label CEO Eduard Klim saw the band’s live performance in the “Fresh Blood” project on M1 TV channel – he immediately decided to start promoting the band. The first band’s musical explosion that attracted public attention was the song “Tebe tse mozhe vbyty“ (“You can be killed by this”) – a real hit, which all at once got into rotation on 25 Ukrainian radio stations. The music video on this song remains very popular on TV. The second clip was shot for the song “Remix” – joyful, dynamic track that excites the audience at concerts with its first chords. In 2006, Lavina Music company released the band’s debut album “Te scho treba” (“That’s it”). All at once, the album hits got into the top rotation on radio, so did the music videos on TV. Later a video clip was made for one of the main album’s song “Te scho treba” (“That`s it”) – lyric & dramatic composition in a favorite style of band’s frontman Oleg Sobchuk. In 2007 music videos for songs “Yak mene zvaty” (“What is my name”) and “Best drug” (“Best friend”) appeared on TV, in those clips the band attracted public attention to a critical situation with AIDS in Ukraine and revealed the problem of HIV-positive people. The videos immediately became popular among young people because of their relevance. October 31, 2007 the band presented their second album “Planetа SKAI” (“Planet SKAI”). As Eduard Klim, Lavina Music CEO and SKAI producer, commented: “The band has significantly grown up, and that is obvious. Therefore, I can definitely call the second album – the best Ukrainian rock album of 2007”. 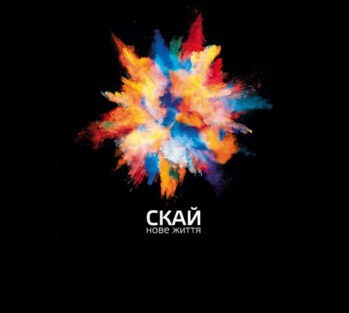 Oleg Sobchuk, the SKAI vocalist: “We wanted to show our vision of real music. The music about things that are truly valuable in life. This is our kind of planet – “Planet SKAI”. The success was not long to come. In spring 2008 the band received “NePopsa” (“Not a pop-music”) award founded by “Jam FM” radio station. The SKAI frontman Oleg Sobchuk won “The Best Vocalist” nomination. And “Planeta SKAI” by SKAI band was awarded as “The Best Album of the Year”. In May 2008 the musicians recorded the song “Podaruy svitlo” (“Give the light”) in two versions – lyrical and rock one – and shot music videos on it. For the first time in Ukrainian show business history, two versions of one music clip were shot at once. The same year SKAI went on a concert tour as a part of 1020th Anniversary of the Kyivan Rus Baptism celebration. The concert tour covered 26 biggest cities of Ukraine, Russia, Belarus and other countries. The event’s goal was to create a tradition of an annual celebration of the Kyivan Rus Baptism Day in the countries of Slavic community. The guys hadn’t had any rest when Djuice mobile operator invited SKAI to become the headliner of the west direction of all-Ukrainian “Djuice Music Drive 2008” tour. In 2009, “Jam FM” radio station awarded SKAI for the second time. That year the band got two prizes of “NePopsa” (“Not a pop-music”) award for their achievements in the field of rock music. SKAI video work “Podaruy svitlo” (“Give the light”) won in the category “The Best Music Video of the Year”. And their concert tour together with “DDT” and “The Brothers Karamazov” was awarded as “The Best Tour of the Year”. At the end of 2009 SKAI performed at International Festival in Poland in the framework of events dedicated to the public campaign “Because I was a stranger”. Among all Ukrainian rock groups, the festival organizers invited SKAI to sing in Lublin. In 2010, there was another important event for the band – the musicians released their new album “!”. The long-awaited third album by Ukrainian rock band – is a new 3D impression (exclusive album cover) and completely new music from SKAI The guys had reconsidered their views on life, matured and changed. The message had also changed – in that album SKAI focused on things in our life that few people noticed, but which nevertheless were important. In May 2010 SKAI became prize winner of “Favoryty Uspihu” (“The Favorites of Success”) contest in the “men’s band” nomination. In honor of the 15th anniversary the band went to the American-Canadian Tour, where they successfully played 10 concerts. After return the band played a nationwide anniversary tour “SKAI 15 years,” the final chord of which was a grand show in Kiev. Looking back, there were many sold-out performances in France, Ireland, England, of Denmark, and Spain are . SKAI actively cooperates with the United Nations Office in Ukraine. In September 2009 the band supported the campaign “Climate Week in Ukraine”. January 10, 2010 the 18th Grand Finale of The Grand Orchestra of Christmas Charity took place in Poland. Ukrainian band SKAI performed on the main stage of the Polish city of Rzeszow. The Grand Orchestra of Christmas Charity is an inherent part of the Polish Woodstock – the festival held in summer to say thanks to volunteers for the money collected in winter.